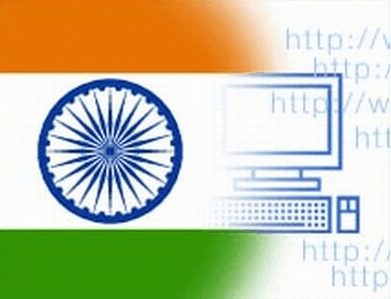 The Indian government is working on an ambitious plan to make USD 15 billion ‘Internet of Things’ (IoT) industry in the next six years in the country i.e. by the year 2020. Some of the things that will happen after this plan gets executed will be street lights automatically going off when they will sense no traffic on the roads and consequently save power, a smart band automatically alerting physician when body vitals go to abnormal levels and so on. “Among other things, IoT can help automate solutions to problems faced by various industries like agriculture, health services, energy, security, disaster management etc. Through remotely connected devices,” the draft IoT policy document says. A few proposed concepts under the policy include smart environment to monitor quality of air, development of tools to check quality of water flowing in taps and levels in reservoirs, technology to monitor changes in body vitals and send alerts to hospitals. However, when it comes to the human role, it will be limited to setting up parameters for alerts and other activities expected from the objects. Moreover, as per the study ,Internet-connected devices are expected to reach a number between 26 billion and 50 billion globally by 2020. The proposed policy is in the list of government’s plan to develop 100 smart cities in the country, for which they have earmarked Rs 7,060 crore in the current year’s Budget. The devices or objects under IoT that will however not include phones, tablets and personal computers, will be connected seamlessly on networks and communicate with least human intervention. A draft policy on technical communication among machines has already been floated by the Department of Telecom however they are yet to finalize guidelines. The government is also planning to fund creation of resource centres and test-beds as a common experimental facility to carry out experiments with an allocation of Rs 18 crore as 100 percent fund with Rs 1 crore for each partner and Rs 3 crore for nodal agency over a period of five years, in order to boost the proposed policy. Incubation centres that are proposed to be called National Centre of Excellence in partnership will be set up by the government with IT industry body NASSCOM and other industry associations at an expected cost of Rs 35 crore for 5 years to execute a centre with capacity of 40 people. “Total five centres should be aimed which should include labs, office infrastructure and other necessities. Government would provide Rs 100 crores of funds. The rest of the funding would be sourced through industry by NASSCOM or any other appointed association,” the draft policy document said. Moreover, there is also a proposal to set up a project named ‘International IoT Research Collaboration scheme (IIRC)’ under which government will work together and instigate treaties with other countries to generate joint projects for R&D in IoT on 50 percent contribution basis. “IIRC scheme will disburse fund to IoT industry in the form of loan, grant and equity for approved projects after analyzing the capabilities of the bidder,” the document said.